An IP address is similar to your home address. It is a unique number given to every device that connects to the internet, including your Xbox One. Each and every device connecting to the internet has to have one of these IP addresses so that information can be sent to the right place. In some instances it is necessary to know a device's IP address. 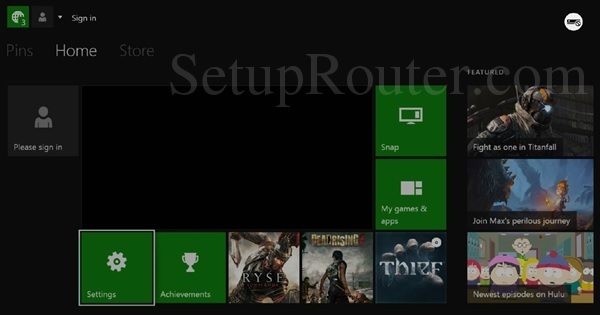 If you want to setup a port forward in your router for your Xbox One then you need to know the Xbox One's IP address. First, go to the Home page of your Xbox One. Click the Settings option on the menu screen of your console. You should now be on a screen very similar to the one you see above. 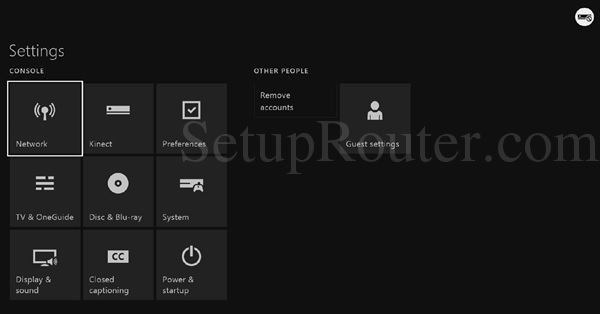 Choose the option in the lower left titled IP settings. Now look to the right side of the page. The very top number is titled IP Address. Congratulations, you have found the Xbox One's IP address. 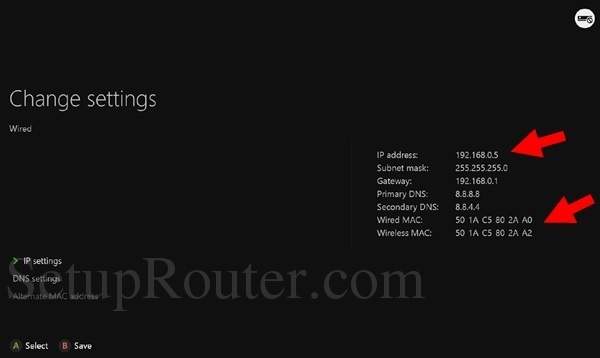 To setup a static IP address on your Xbox One you should read our Xbox One Static IP Address guide. Learn more about IP addresses by checking out this guide. To figure out how to find your router's IP address this guide can help. You can find the user manual for your router within our router guides. To learn about ports visit this guide.